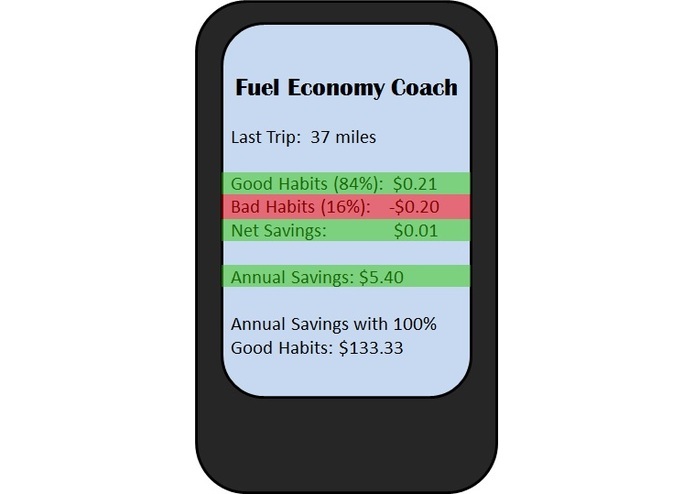 The Fuel Economy Coach is a new concept in driver aids that is based on actual vehicle data, road conditions, traffic, and most importantly your personal driving habits. Not only will the app show your fuel efficiency, but will tell you how good or bad it is based on real world conditions. It also converts your driving habits into real dollars saved or lost. But most importantly, it will coach you on how to improve your driving so you can see the savings rack up!